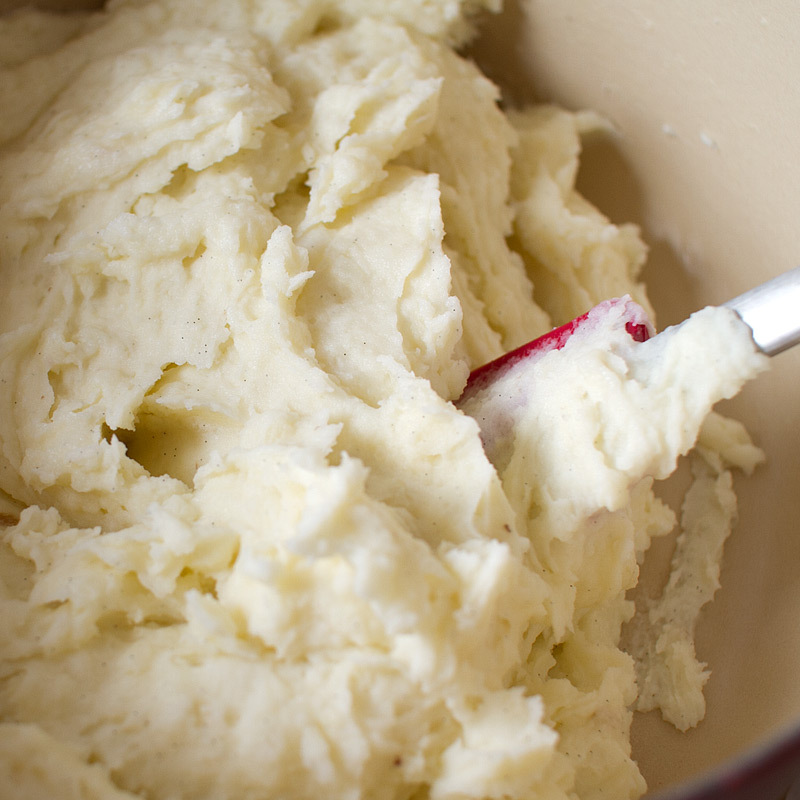 I know… vanilla beans in mashed potatoes, Holly? Really? 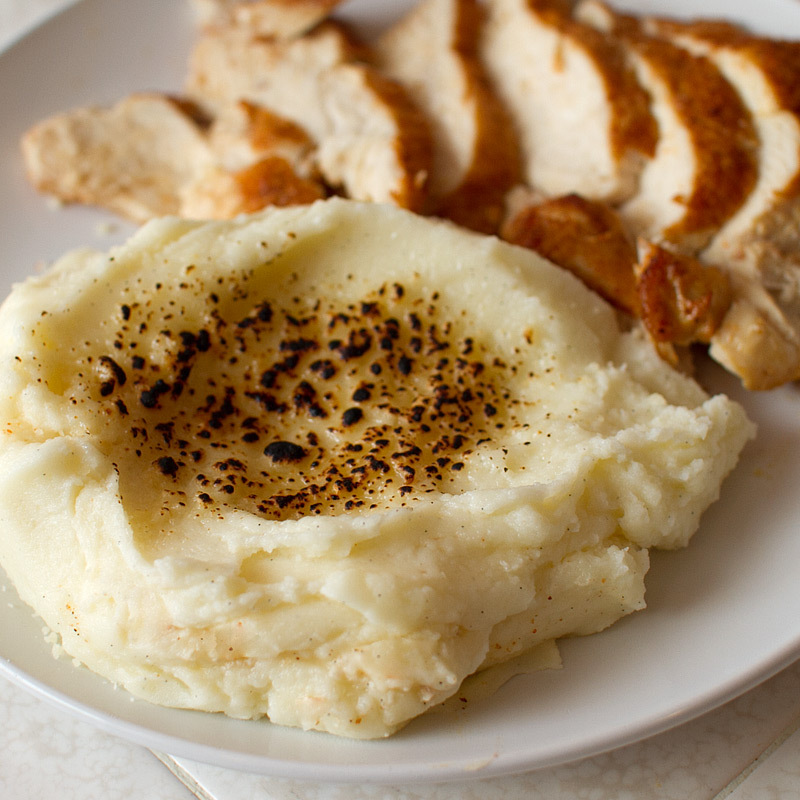 I couldn’t just sit around NOT have vanilla bean mashed potatoes in my life, so I came up with this recipe. It’s pretty simple – only 5 ingredients. I decided to go with mascarpone cheese instead of white cheddar like in the original version. Mascarpone is an Italian cream cheese and is slightly sweeter and less tangy than traditional cream cheese. You may know mascarpone cheese as the creamy part of tiramisu. I thought the subtle sweetness in the mascarpone would help bring out the vanilla – since our palettes are so used to recognizing vanilla as something essentially sweet, the mascarpone gives a tiny hint of that flavor profile without being overpowering. 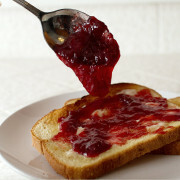 I know it’s weird, but FMITK wouldn’t be FMITK with some random foods paired together for no good reason than being bored and hungry. bloop! 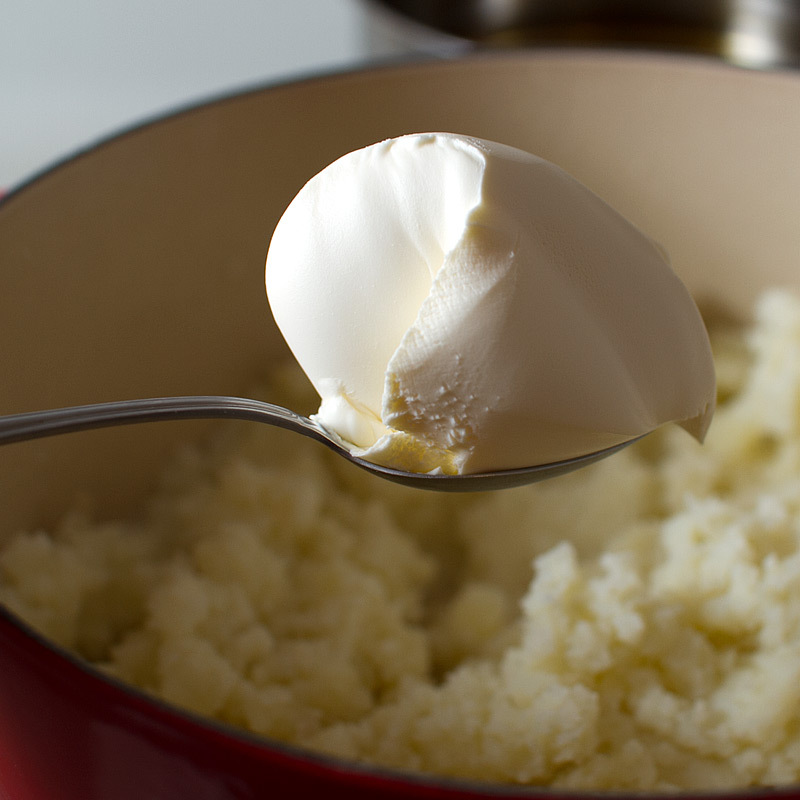 You’ll need yukon gold or russet potatoes, butter, vanilla bean, mascarpone cheese and sea salt. Ignore the pepper, I changed my mind mid-way through cooking because I didn’t want black pepper specs competing with vanilla bean specs lol. Don’t mind me, just keeping my potatoes vain. 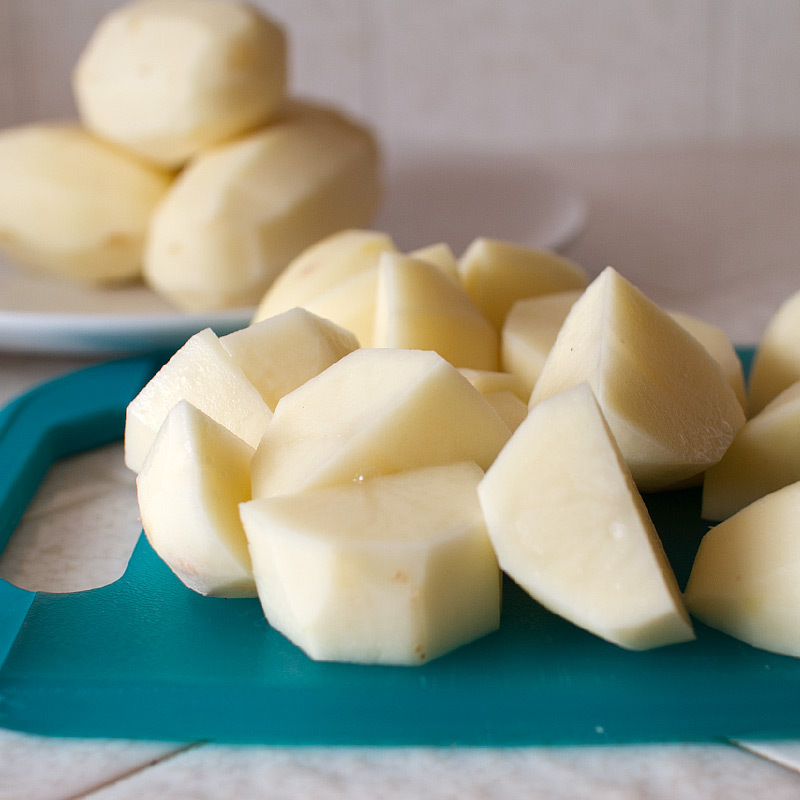 Peel and cut the potatoes into equally sized pieces. Add to boiling water and cook for about 30 minutes, until a fork can pierce the potato without any resistance. While the potatoes are boiling, split a vanila bean lengthwise and scrape out the seeds. Add the vanilla beans and pod to the melted butter and set aside. 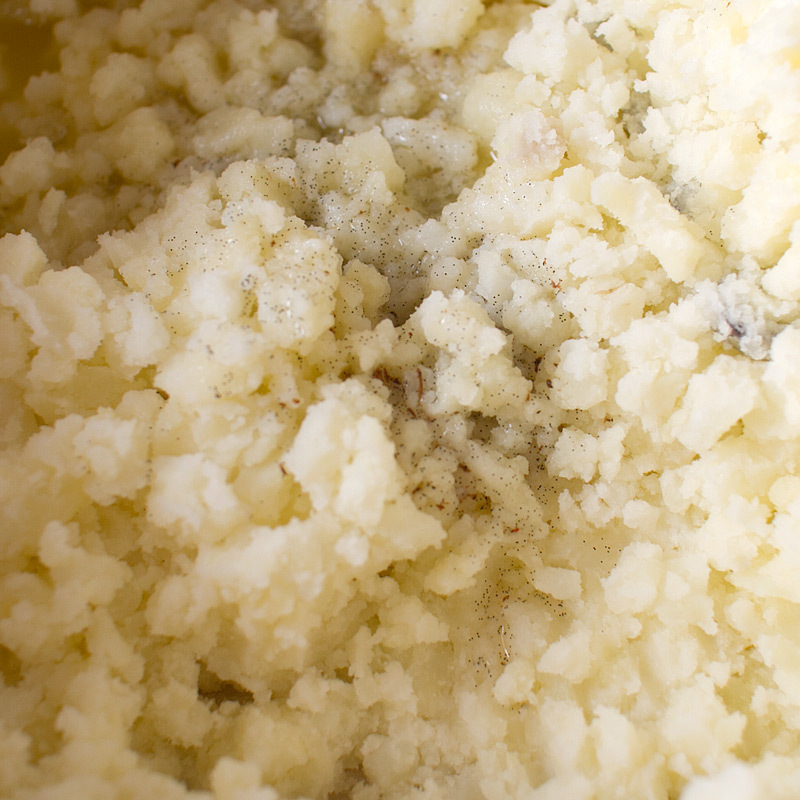 Once the potatoes are cooked, drain thoroughly and place back into the dry pot over low heat. Mash the potatoes to allow steam to escape and to let any remaining water evaporate. Turn off the heat. Add in the vanilla bean butter. Be sure to scrape the bottom of the bowl to get all those delicious vanilla beans! Seeeee all the vanilla beeeeans? Add in the mascarpone cheese and continue to mash. Add in 1/2 tsp of sea salt and taste. Adjust seasoning as necessary. Them beans THO. I had to talk myself out of motorboating this pot of potatoes. 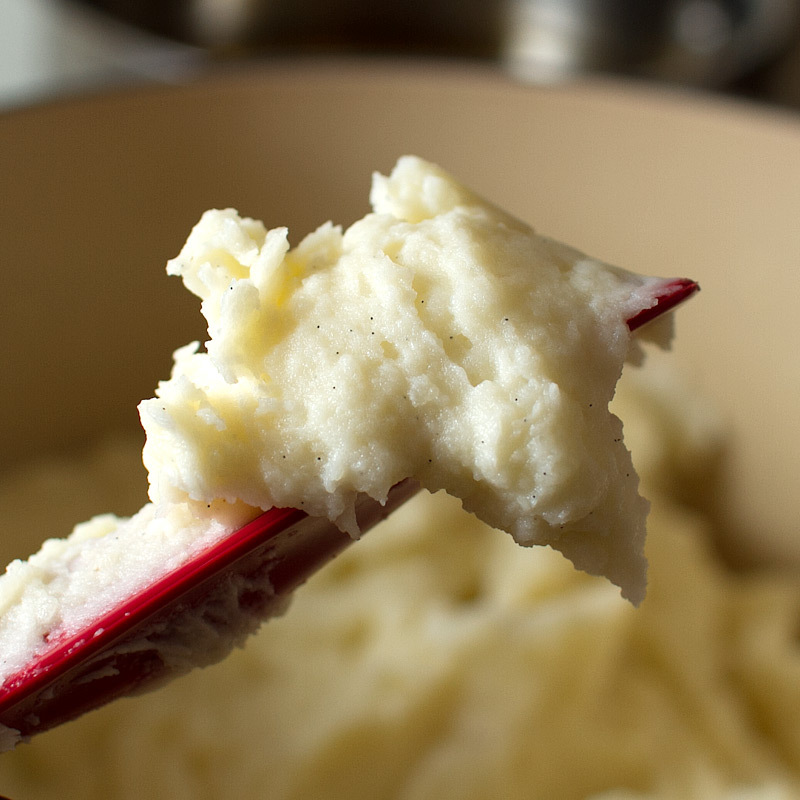 A completely optional yet decadent and delicious but totally unnecessary step: push the mashed potatoes through a fine sieve to get rid of any lumps that escaped the masher. This also creates a silky smooth texture. Again, optional… but treat yo’self! 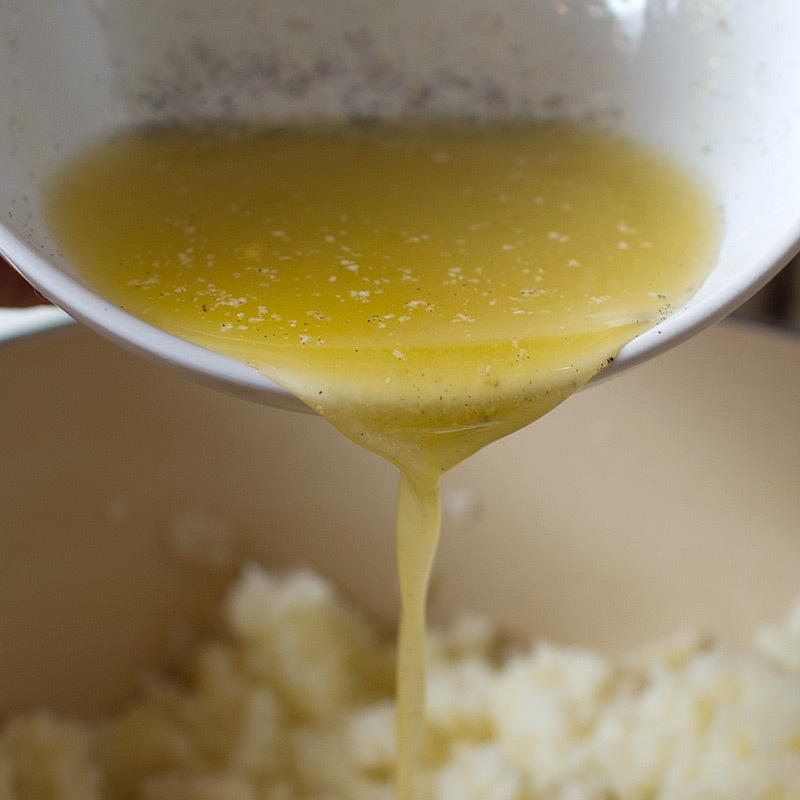 Adjust consistency with melted butter or warm cream if necessary. Ta-da! 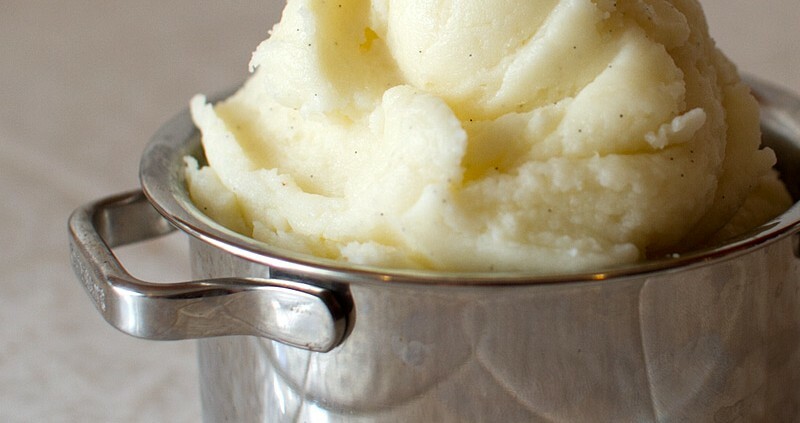 Super smooth and incredibly creamy mashed potatoes. It almost looks like ice cream! Sometimes I add a little parmesan cheese on top and hit it with the brulee torch, because BURNT CHEESE. 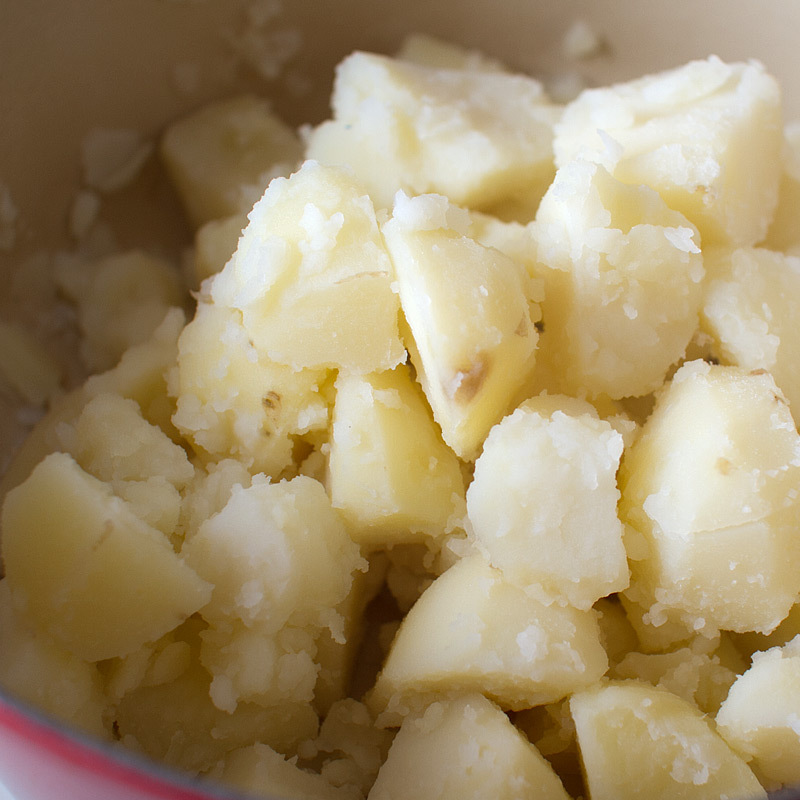 Peel and cut the potatoes into equally sized pieces. 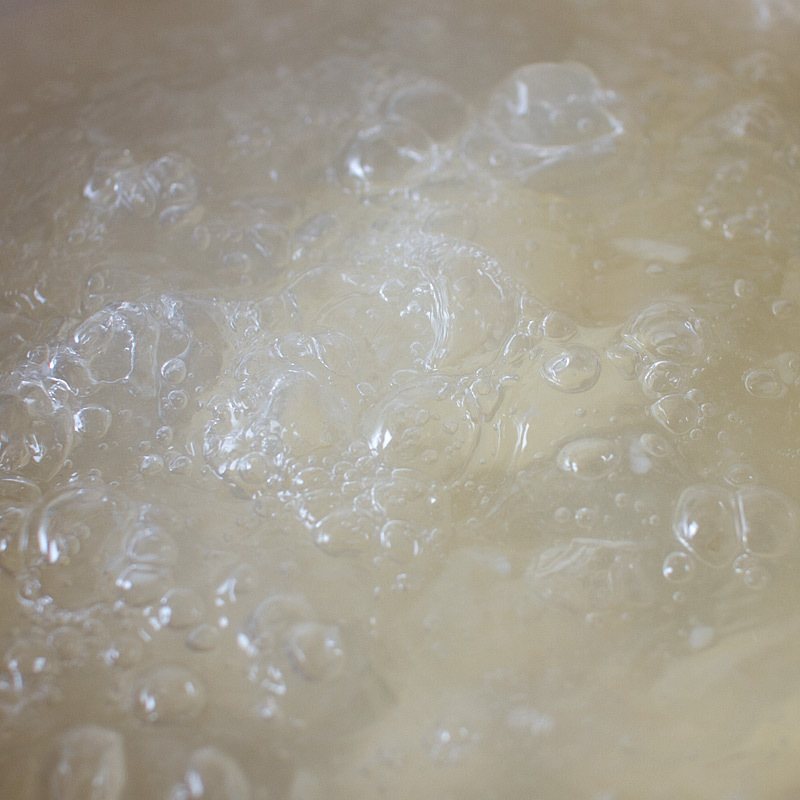 Bring a large pot of water to a boil along with a large pinch of sea salt. Add the potatoes to the water, bring back to a boil and cook for about 30 minutes, until a fork can easily pierce the potatoes with no resistance. The potatoes should almost fall apart. While the potatoes are boiling, melt the butter. 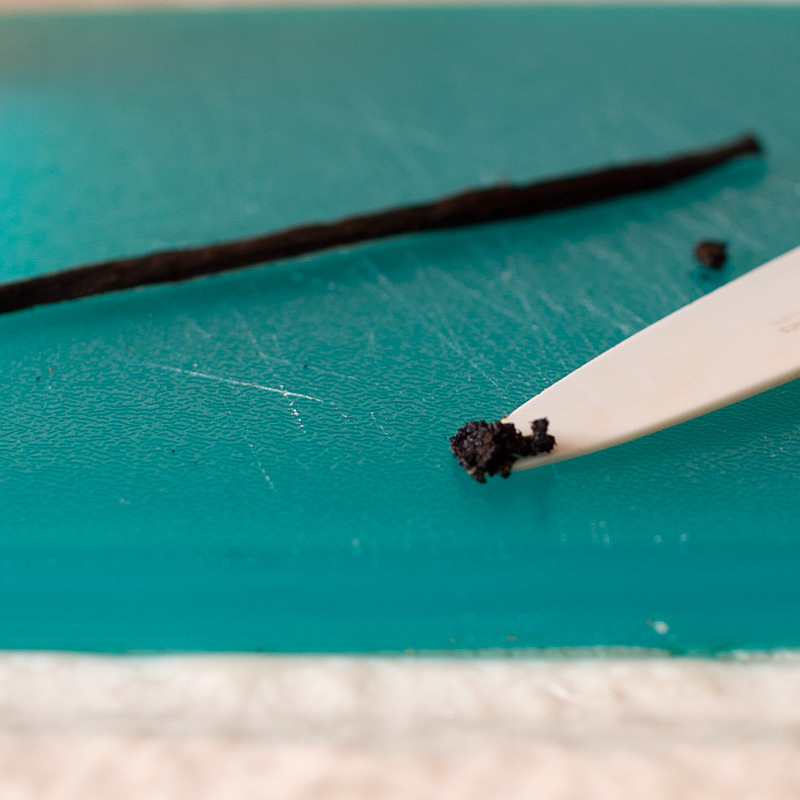 Split open the vanilla bean lengthwise and scrape the beans from the inside. 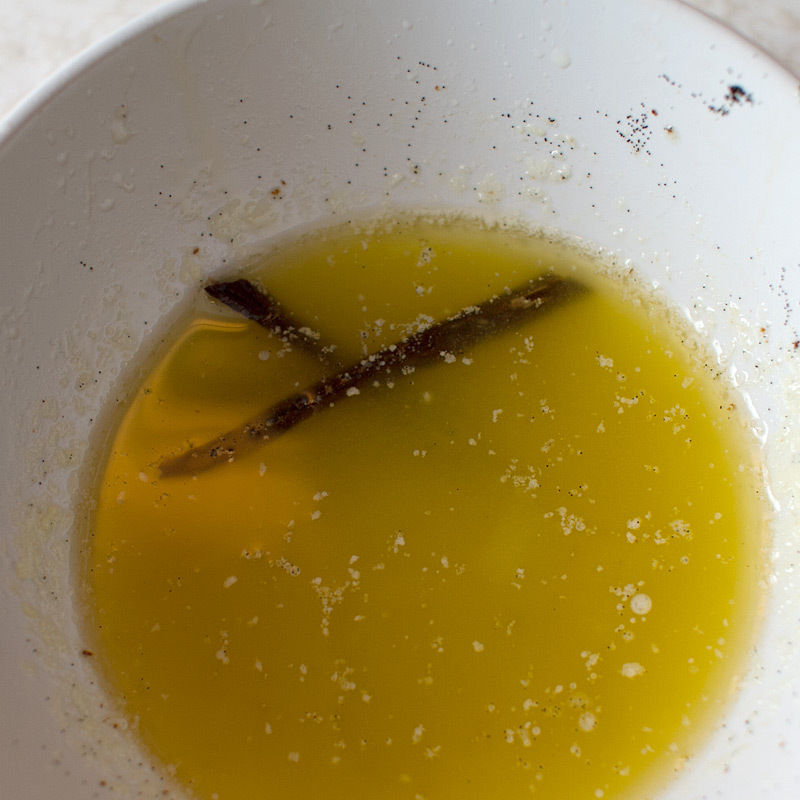 Place the scraped vanilla beans and the pod in the melted butter and set aside. Drain the potatoes well. 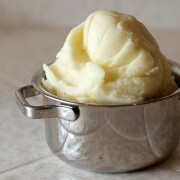 Place them back into the dry pot over low heat and mash, letting the steam escape and any additional water evaporate. Turn off the heat. 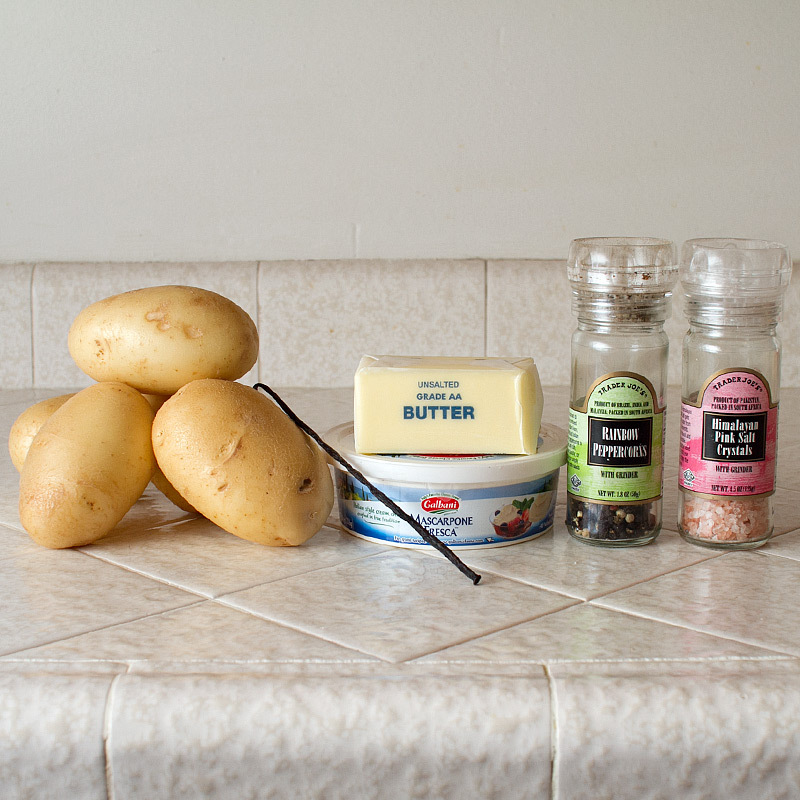 Remove vanilla bean pods from the butter and add to the potatoes. Add in the mascarpone cheese and mash. 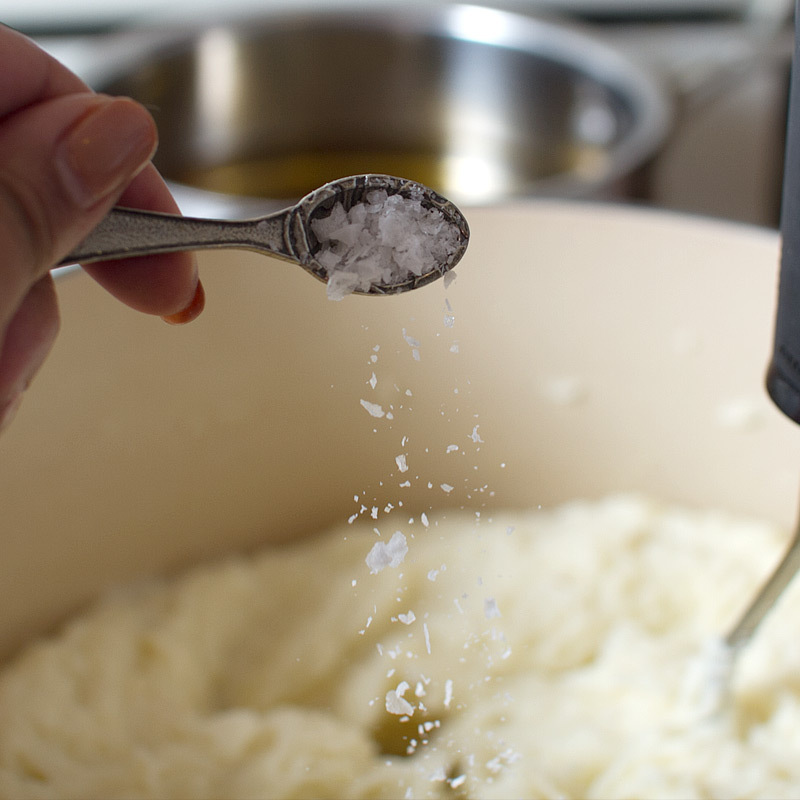 Add 1/2 tsp of sea salt. Taste and add additional salt if necessary. 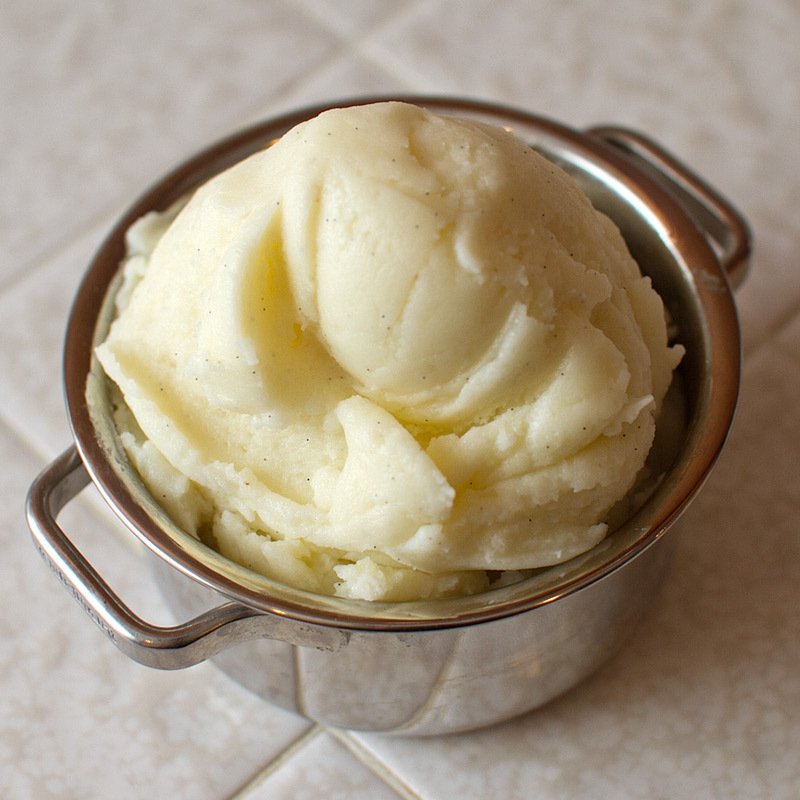 Mash until desired consistency – be careful not to over mash or potatoes may become gummy. 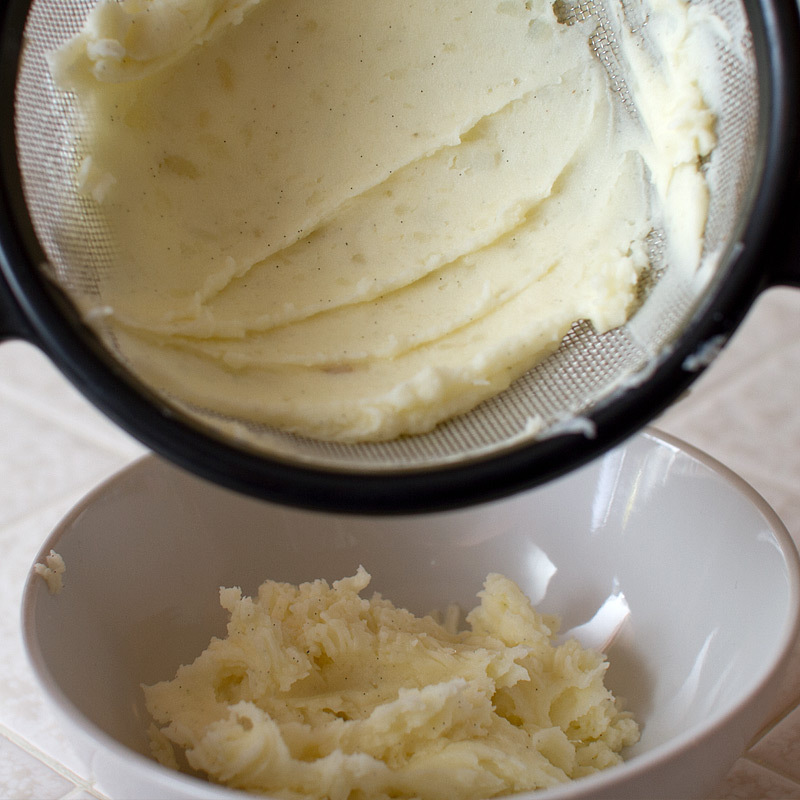 Completely optional delicious and decadent but totally unnecessary step: Push the mashed potatoes through a fine sieve and to create a super creamy and smooth consistency. 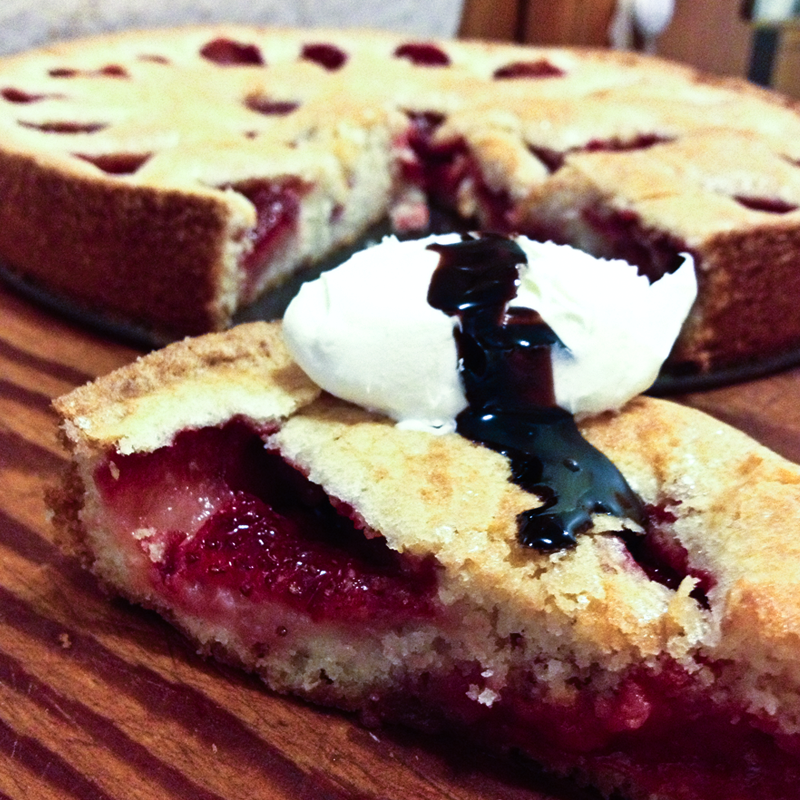 Adjust consistency with additional melted butter or warm cream if necessary.